It’s Hand Made Friday! What hand made pieces are you wearing today? 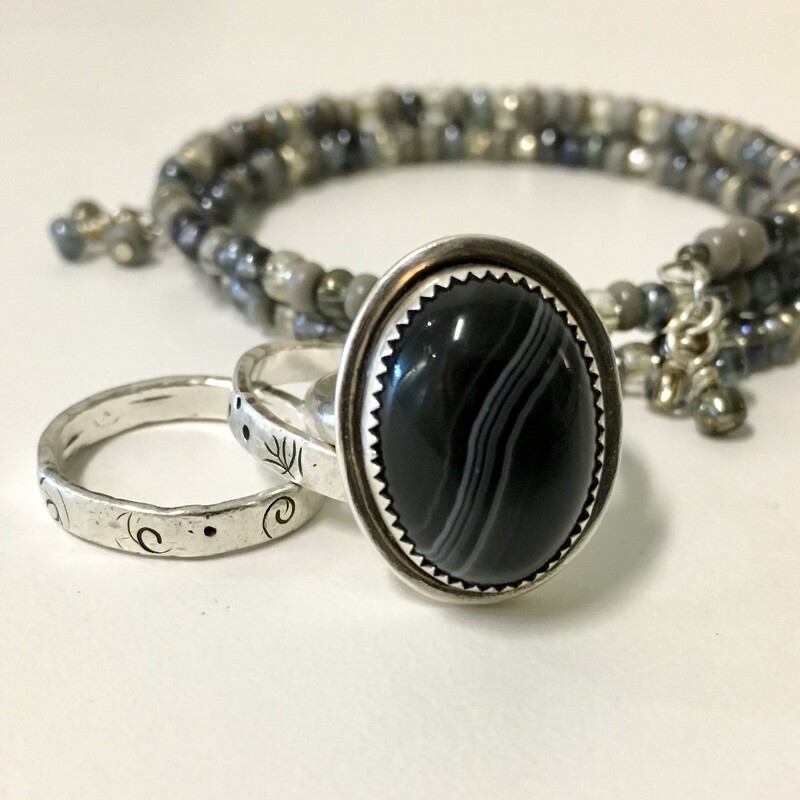 I’m wearing a lace agate silver ring--my first bezel setting ever!--a couple of well-worn fine silver stacking rings and a springy beaded bracelet.